George Galloway pulls off "the most sensational victory in British political history"
In a stunning by-election victory, won over less than three short weeks, Respect's George Galloway has shaken up the political 'establishment.' Labour's is vote down, the Tory is vote down and the Lib-Dems are reduced to the fringe. Surely the austerity agenda of the Con-Dem coalition or the 'austerity-lite' of New Labour fails utterly to address the concerns of everyday people. What a great day for the anti-war movement and what a great day for democracy in Britain. Don’t forget, Britain’s unrepresentative neocon/neoliberal elite have done all they can to destroy this man, but they have failed in the most spectacular fashion. UPDATE: Isn't it great to have the author of this superb article back in Parliament. We were told the 10-week bombing campaign of Serbia and Kosovo would end suffering. It intensified it. We were told it was done for the highest ideals, indeed contrary to any grubby interest - that it marked the end of imperialist hypocrisy and war. In fact, it was the precursor, lowering the threshold to a decade of war which continues into this decade. Our masters, however...... have no interest in the people of Syria. But they do have a vital interest in seeking to ensure that the outcome is a weakened Syria with, they hope, a government more pliable, more accommodating to Western suzerainty and prepared to sign a surrender peace with Israel. Crucially, they want a Syria that will join rather than resist the military encirclement of Iran. FURTHER UPDATE: Don't miss this brilliant piece in today's Guardian by the man of the moment. Labour, above all, should learn this rude lesson. It cannot continue on the disastrous path set by Tony Blair, of war and occupation abroad and inequality at home. That's what lay behind the loss of a "safe seat", held for 38 years, just as the party lost London's East End in 2005. The real Labour values I stood for in this election swept the Tories and Lib Dems away, and swept into every part of the constituency – including those areas where some voters, only a few years ago, had succumbed to the siren calls of the racists and fascists. The media, especially the London media, should also smell the coffee. Something is happening in this country outside of the echo chamber. FURTHER UPDATE: As John Edwards mentions in the comments, there's a terrific piece by Peter Hitchens in today's Mail on Sunday, not just on GG, and his admiration for him, but on the rottenness of our political elite. You can read Peter's piece here. Above you can watch me discussing the terrible situation in Libya on Russia Today, and why the west isn't interested in the death and destruction their 'humanitarian intervention' has caused. More on this story here. This piece of mine on the 'Cash for Access' scandal, appears in The Week/The First Post. "WHEN we talk about your donations, the first thing we want to do is get you at the Cameron/Osborne dinners... If you are unhappy about something... we'll listen to you and put it into the policy committee at No 10." However much Conservative party apparatchiks, currently engaged in a desperate damage limitation exercise, try to portray the party's former Treasurer Peter Cruddas as a braggart and a bullshitter, the damage has surely been done. Peter Cruddas's words, captured on film in a Sunday Times sting, have exposed, for anyone who still had any doubts, the rottenness at the heart of British politics. You can watch an interview with me on Russia Today, in which I call for the Syrian opposition to embrace the democratic opportunities now open to them, here. Will the western-backers of the rebels be urging them to follow the democratic path and contest elections in Syria? Don't hold your breath. As I've said before on many occasions, democracy in Syria is the very last thing the west wants. All they want is the installation of a slavishly pro-U.S., anti-Iranian puppet government and they don't really care how that is achieved. On the subject of Syria, there's a very good piece by Patrick Cockburn in today's Independent on why the attempts to forcibly bring about 'regime-change' in Damascus have failed. The neocons and 'liberal' imperialists have suffered a real setback in Syria, and we can't really exaggerate the importance their reverse. Raising the personal allowances to £9,205: Good. Unless of course you happen to be a millionaire. Like the man in the photograph. Pull up on the hard shoulder, David Cameron, and think again. Neil Clark: The toll-roads wheeze is not just a bad idea, it's bad politics - if the PM wants to keep Conservatives on side. What a four days it’s been. There were some great races at Cheltenham this week, but for me the highlight was Friday’s Gold Cup- one of the most exciting we’ve seen in years. There was drama on the first circuit as What a Friend fell at the second, and then Kauto Star was pulled up. Well done to Ruby Walsh for pulling up Kauto so quickly- I‘ve never heard a crowd cheer so much when a horse was pulled up. Everyone was relieved that the greatest chaser since Arkle was still in one piece. With Kauto out of the race, it really was all to play for. Time for Rupert was running a huge race, but as they headed to the last, the likeliest winner appeared to be the 50-1 outsider The Giant Bolster. That would have given us the longest priced Gold Cup winner since Norton’s Coin’s 100-1 victory in 1990. 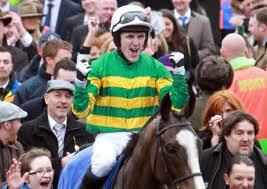 For a moment it looked like Long Run, the favourite and reigning champion would get up, but his run petered out, and it was 8-1 shot Synchronised, given a fantastic ride by AP McCoy who came with a very powerful run up the hill to land the spoils, with The Giant Bolster finishing a gallant second. As I say, one of the most exciting Gold Cups in recent memory. You can hear me discussing the Cheltenham action on Friday’s BBC Radio Scotland’s Newsdrive, at around 45 minutes into the programme. THE CLASH of the Titans is on. Although the final declarations won't be known until later this morning, it seems certain that Kauto Star, Britain's most popular racehorse will, after all, be lining up in Friday's Cheltenham Gold Cup, to renew his rivalry with last year's winner Long Run. Kauto Star, a dual winner of the Gold Cup and regarded by many judges as the best steeplechaser since the legendary Arkle, was only rated 50-50 to take his place in the field after he took a heavy fall in training two-and-a-half weeks ago. But on Monday, his trainer Paul Nicholls gave the 12-year-old the go-ahead to take part in jump racing's Blue Riband contest after he had excelled in a work-out. If 'Kauto' prevails in Friday's encounter, then those present will witness one of the most remarkable sporting comebacks of all time. A 12-year-old boy was among those reported to have been killed in Gaza on Sunday amid a spiralling round of militant rocket attacks and Israeli air strikes over the weekend that left at least 18 Palestinians dead and four people in Israel injured. A further 26 Palestinians were injured, five seriously, in a string of Israeli air strikes, the Gaza medical services spokesman Adham Abu Salmiya told the Palestinian news agency Maan. He named the dead child as Ayoub Useila, who was killed in Jabalia refugee camp in an air strike that also injured his seven-year-old cousin. The weekend death and injury toll was the highest since Operation Cast Lead, Israel's three-week military assault on Gaza just over three years ago. Don’t hold your breath for the ‘liberal interventionists’, so keen for military action to be taken against Syria to call for action to be taken against Israel. And don't hold your breath either for the U.S. to denounce Israel's aggression. 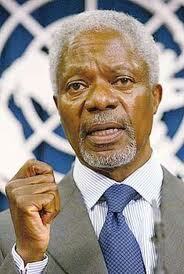 By adopting a combative line, the council clearly seeks to torpedo Mr Annan’s effort before he arrives in Damascus. 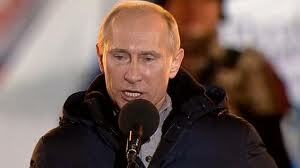 He has rejected both “militarisation” by arming rebels and foreign military intervention. So there you have it. If the rebels were really concerned with a more democratic Syria, they would not only be agreeing to a ceasefire, they’d be getting organised to take part in the Syrian elections. But of course, as I explained on RT here, a genuinely democratic Syria is the very last thing many of the rebels- and their western sponsors - want. As to what is motivating the west, CENTCOM chief Gen. James Mattis let the cat out of the bag when he said that the ousting of President Assad would be the "the biggest strategic setback for Iran in 25 years." The west and its Middle East allies are keen to topple Assad not for ‘humanitarian’ reasons, but because ‘regime change’ in Damascus is essential before an attack on Iran is launched. That’s why it’s the neocons- the people most keen for war with Iran, who are also pushing for military action to be taken against Syria. R.I.P. Philip Madoc, great Welsh actor and the funniest U-boat commander of them all. He also played a very funny cameo as 'Snetterton' in The Good Life. It's the same of course whether the election takes place in Russia, Belarus, Iran, Venezuela or Gaza. More on the demonisation of Vladimir Putin- and why western elites are so keen for us to hate Russia's most popular politician, here. British war graves desecrated by Libya’s new ‘democrats’. The Politics of Nostalgia: and why it is nothing to be ashamed of (1). This essay of mine, on the politics of nostalgia, appears in the anti-war magazine The American Conservative. It's quite a long piece, so I'll be posting it instalments. Here's part one. The master is back. After some middling efforts in recent years, Woody Allen has once again hit the bullseye. 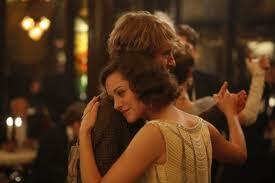 His most recent film, "Midnight in Paris," is entertaining, extremely funny and charming. It also poses some very interesting questions about nostalgia and the yearning for a 'golden age' of the past, questions that have important political dimensions. The film’s protagonist is a screenwriter from Pasadena called Gil Pender, played by Owen Wilson. Pender is a man "born too late" who really wishes he’d been living in Paris in the 1920s. Miraculously, he finds himself transported back to that place and time, and gets to meet his literary idols F. Scott Fitzgerald, Ernest Hemingway, and T.S. Eliot, and to show his novel about a nostalgia store to Gertrude Stein. He meets and falls in love with Adriana, the stunningly beautiful muse of Pablo Picasso, but finds, to his great surprise, that instead of relishing living in what he regards as the golden age, she is yearning instead for the Paris of ‘La Belle Epoque'. When the couple get transported to the 1890s, they find that artists there are nostalgic for the Renaissance. good the 60s were, how good the 70s were. And like Pender I also love the 1920s- who couldn’t love a decade where woman wore long pearl necklaces, smoked cigarettes through ebony holders and Cole Porter wrote "Let's Do It?". But could it be that like Woody Allen’s hero, I and others who look back to a golden age are simply being too romantic and are in denial about the positive aspects of life in 2011? Well, yes and no. Don’t get me wrong: there’s an awful lot to like about living in the second decade of the 21st century. Being able to read online articles from all over the world from the comfort of one’s own home. Antibiotics. Travelling from London to Paris in 2hrs and 15 minutes by Eurostar. Being able to chat face-to-face to friends round the world for free via Skype. The films of Woody Allen. But it’s clear that we’re also missing out on quite a lot too, and that over the past 30 years something quite serious has gone wrong. The malaise is widespread, but it seems particularly pronounced in the US and Britain.